What's a Mama Bear? Hillary Morgan Ferrer, author of Mama Bear Apologetics, defines it as: a creature that is all cute and cuddly...until you mess with her kids. When your kids are absorbing the culture's lies uncritically, what's a parent to do? The problem with lies is they don't often sound like lies. They seem harmless, and even sound right. This mom-to-mom guide will equip you to teach your kids how to form their own biblical beliefs about what is true and what is false. Using stories and practical applications, the author provides you with the tools you need to train yourself, so you can train your kids. Includes contributions from many well-known female apologists. 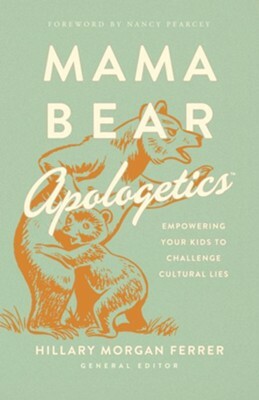 I'm the author/artist and I want to review Mama Bear Apologetics: Empowering Your Kids to Challenge Cultural Lies - eBook.